Leah Berns is featured in our January Staff Spotlight. Leah is an amazing staff member who has been at CRC for a very long time. She is a counselor who always puts her campers first and genuinely cares about each and every person at Chippewa. She was one of the Program Directors in 2018 and she did a fantastic job utilizing her creativity and passion for Chippewa to provide amazing evening programs for the camp community. 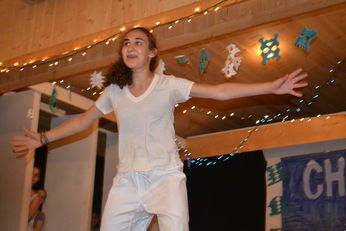 We love Leah and appreciate her love for camp! 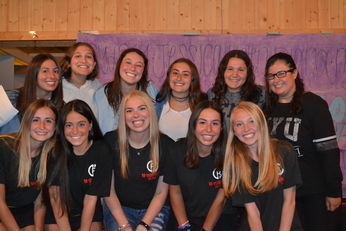 Read below to learn a bit more about Leah and her camp experiences. 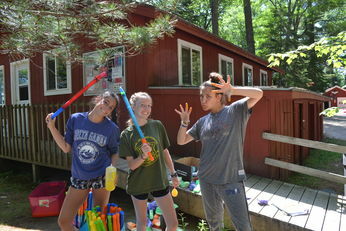 How many summers have you been at camp? This will be my 8th summer! What cabin were you in during the summer of 2018? I was in Boots and Saddles. What is your favorite part about being a counselor at CRC? My favorite part about being a counselor at CRC is meeting a myriad of different people from different places and of different ages that will be my friends forever. What was your favorite memory from the summer of 2018? My favorite memory from this summer was going swimming on the blob with my campers in between picnic lunch and rest hour. 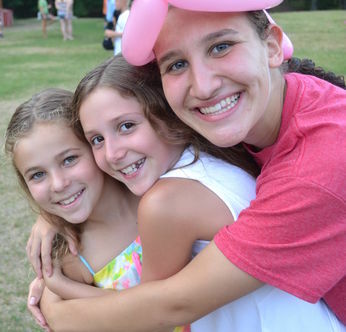 What is your favorite camp memory of all time? My favorite camp memory of all time was when my cabin went star tripping in the middle of the night and watched the stars in the south field and on the tramps. What are you most looking forward to in the summer of 2019? I’m most looking forward to hanging out with all of my amazing campers and friends! 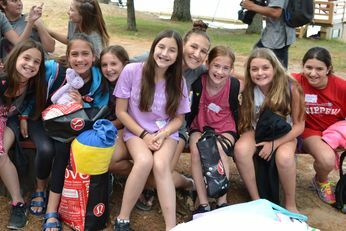 How do you stay in touch with your camp friends during the year? During the year my camp friends and campers and I have a group chat! When I’m not at camp, I am at school at the University of Michigan studying political science and getting my teaching certificate. Anything else you want to share with your Chippy family? Can’t wait for summer 2019!!! !